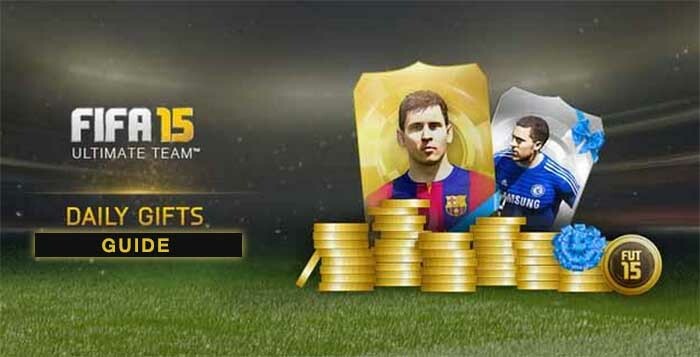 FIFA Daily Gifts are offers assigned to FIFA Ultimate Team players during specific and limited periods of time. Usually, they can be redeemed through the FUT web app, companion app and eventually in the console or PC. FIFA daily gifts are released frequently throughout the year to reward players that access FUT via the Web App or Mobile Companion App. A daily gift usually consists of a gift pack, loan pack, shot legend pack, coin rewards or a FUT Draft token. FIFA Daily gifts are an excellent way to boost coin totals as they are completely free to open. The most common ones take place in September (game release), October (Halloween), December (Black Friday and FUTMas), February (FUT United) and July (FUTTIES). During Daily Gifts promotions, there are something new for free everyday. Players just need to log in into their FUT Web App, Companion App or console account to get it. The offers expire everyday at midnight (UK time) and then it starts a new one.